A lot of thought should be put into expansion efforts of any organisation, especially when incorporating a company in a new region or country. If you want to set up a foreign business in Asia, location is of the utmost importance to business owners. Company incorporation in Singapore is the most sought after type of business set up in Asia. There are several factors to consider before you begin to register your company, including the types of business activities available to you in Singapore, the registration process and how to set up a business in Asia. Asia – especially Southeast Asia – is a growing economy. The fact that most countries in the region are labour intensive is welcoming to a foreign business. Among all the countries in South East Asia, none are more alluring or welcoming to foreign business owners than Singapore. A Singapore company incorporation is easy, especially if foreign business owners work with existing professional services in the country. To set up business in Asia is the dream of many foreign entrepreneurs. There are several reasons why professional services are so sought after by those wishing to set up a business in Singapore. One of the main benefits is of course the wealth and depth of experience and knowledge, particularly involving incorporating a company, the registration process, licensing and business permits. Starting a business in Singapore is easy. There are various business opportunities in Singapore and and professional service agencies will be able to help you with the licensing agreements. In Singapore, both foreign and local business owners thrive. However, some business activities based on industry may require specific licenses and permits. Certain business in Singapore owners will need to obtain Business Activity Licenses before they are able to operate in Singapore. When you register your company in Singapore, it means that the incorporated company has to have a minimum of one shareholder and one director. It is a legal requirement to have an appointed Company Secretary when running a business in Singapore. Although the requirements are minimal when compared to other positions in the organisation, the Company Secretary has an important task. All legal updates and resolutions passed by the organisation will need to be correctly handled by the Company Secretary based on statutory requirements. There have been many instances where companies have been handed penalties merely because of the failure of the Company Secretary to comply with requirements. This is the main reason why it is important to seek Company Secretary services. The Company Secretary is the backbone of the organisation and this is an important role indeed. Anyone who is tasked with the role will definitely have to make sure that they are able to handle the responsibilities that comes with it. If everything is complete and all your documents are in order, the registration process for the business in Singapore will only take three working days. Foreign investors who have outsourced the task of registering a company in Singapore to professional services will be pleased to note that all communication is now conducted electronically. The notice of incorporation of an organisation and the registration number will actually be transmitted to the organisation via email. Once that has been established, the next step for the incorporated companies will be to commence actual operations. However, business owners should take note that the whole process of seeking business opportunities in Singapore is actually a lengthy 12 months process. This can sometimes stretch to a longer period in time depending on extenuating circumstances. Businesses in Singapore will also have to take into consideration factors contributing to operational overheads such as rental of premises, working spaces, equipment as well as recruitment costs. These are definitely important operational aspects to look into as these overheads will actually eat into the money set aside for the start-up. Businesses in Singapore need to remember that they would still need to pay overheads whether or not they are actually gaining any profits from their operations. As such, it is always better to have a plan rather than expecting things to go off to a good start right from the beginning. Property rental is very much dependant on the location and size of the business. There are commercial industries available across Singapore for the various industries. Business owners will need to seek out further information from real estate agents regarding the viability of these locations. As for recruitment, Singapore is well known for having quality professionals from different sectors. Recruitment costs and the salary range of employees will vary depending on the level of experience and the requirements of a company. A company will need to think about applying for an employment pass if they want to bring their own team of experts to work in Singapore. As outsourcing becomes more integral to business owners, organisations should consider maintaining senior operations in any given country and leaving the nitty gritty daily details to professional consultancy services. Looking at it from a long term perspective, organisations do not want to be stuck with too much collateral damage in the event that things do not work out. An alternative option for foreign business owners is to outsource daily operations to professional consultancies while only maintaining senior management on board in the new office. This is a perfectly viable business solution only because of the ability of professional consultancies to provide local knowledge while helping ensure the smooth operations of the organisation. This also helps because the organisation does not have to worry much about Employment Passes in Singapore for a large group of people. Of course, these are things that every business in Singapore – whether local or foreign – will need to consider. Professional consultancy services build their operations based on such in depth knowledge which will be relevant and crucial to those who are thinking of setting up a business in Asia. Professional consultancy services are able to provide market assistance across industries to help incorporate companies in various industries. Their services mainly include market guides, statistics, research and focus papers on different sectors in Singapore. Simply put, professional consultants have the means to aid organisations in getting ready for business in Asia. It is a fact that the act of moving or expanding a business to a foreign country is no easy feat. It has already been established that 12-months is the minimal requirement for any business thinking of incorporating companies in a new country. Inability to plan means that there is a high likelihood of failure. The consultancy service will ensure a set game plan, so that the relocation of your business in Asia is done in a timely manner with a high chance of success. Paul Hype Page & Co – Acra service provider and Asean Chartered Accountant. Our Firm Goal is to assist Foreigner and Foreign Companies to set up business in Asean. Step 1- Listen to your Business plan and Relocation needs. 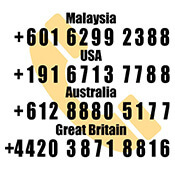 Step 7- Assist you to expand business to Malaysia, Indonesia , Vietnam and Thailand.